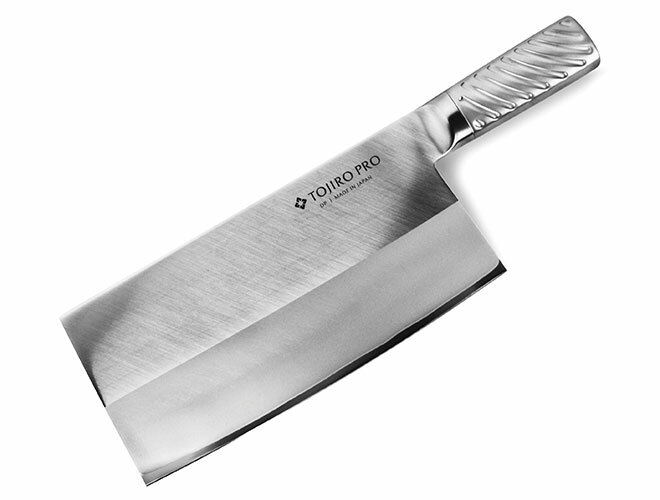 This Tojiro Pro Chinese Chef's Knife/Vegetable Cleaver is perfect for chopping and dicing meat, fish, and vegetables for diagonal cuts and stir-fry. 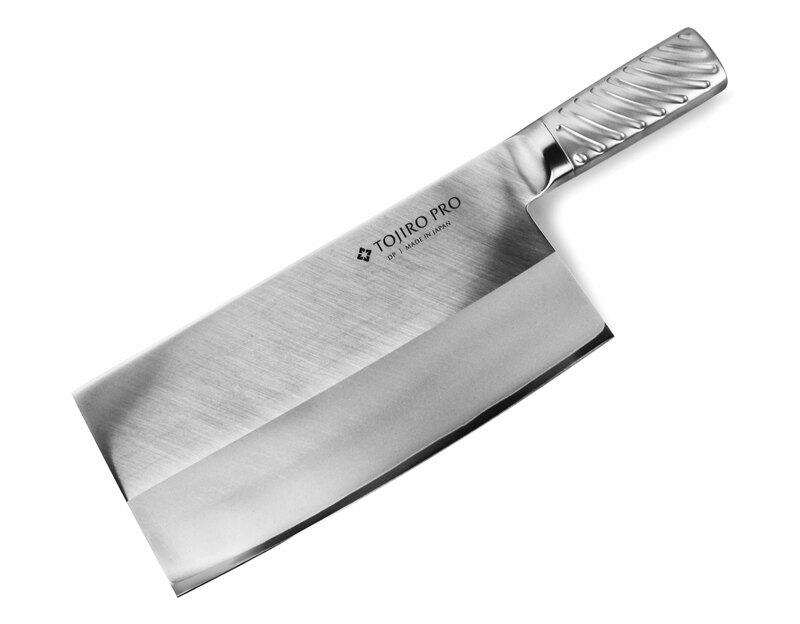 Tojiro Pro knives feature a unique textured stainless steel handle that is both comfortable and non-slip. 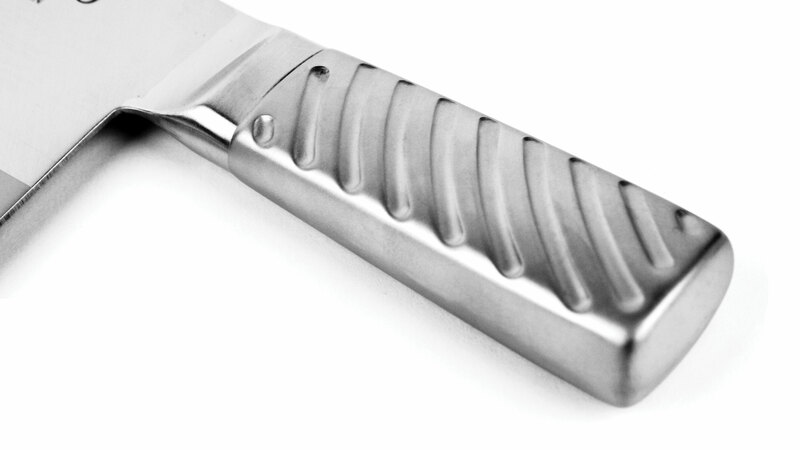 The closed bolster collar allows for full and complete sharpening of the blade. 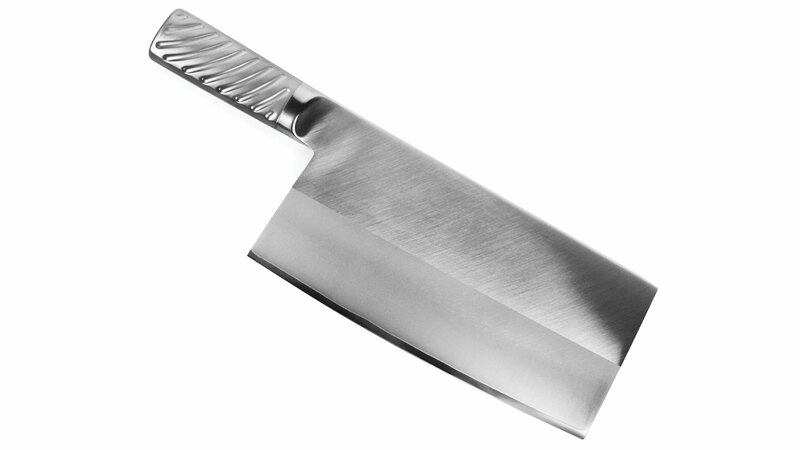 The 3-layer DP clad blade is made of cobalt alloy that is sandwiched between two layers of stainless steel and features a 60° Rockwell hardness, hard enough to hold an edge but easier to sharpen than super hard steel Japanese knives. 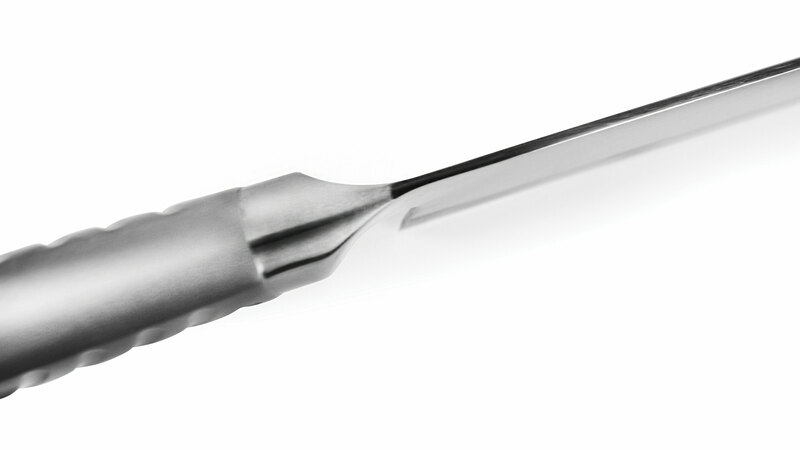 The thin blades feature a razor sharp edge that is hand-honed and sharpened by skilled craftsmen in Japan.